Rocal have recently undertaken the acquisition of East Midland Panels, breaking into the GRP composite door market with the fresh new brand ‘MyDoor’. With their customers’ interests at the heart of this new move, Rocal has listened to the needs of their Installer Network to introduce a GRP Composite Door product to their range. The MyDoor brand stands as the latest addition to the Rocal group, which also includes Endurance Doors, Impressions PVC-U Panels and Rocal Extrusions. This group has seen notable growth in sales over the past 12 months, with the new investment in GRP composite doors opening a new avenue to help promote this growth further. 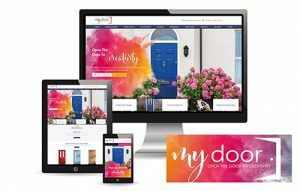 Being supported by a new brochure, new Online Door Designer, and a new website, the MyDoor brand has been developed to appeal to the homeowner. All of these marketing features were designed and created in accordance with the latest industry trends and geared towards lead generation. Installers who wish to join the MyDoor Preferred Installer Network will receive Homeowner Leads, generated as a result of an aggressive marketing strategy designed to promote the MyDoor brand to the consumer market. Both strong and stylish, the MyDoor design incorporates the Doorco slab that features a 4mm thick GRP skin and a Laminated Veneer Lumber subframe. Each MyDoor will also come with the High Security 3 Star Federal Locking Cylinder as standard, delivering a specification that is sure to cater to the needs of Installers and Homeonwers alike. Over 40 colour options, 57 beautiful designs and an extensive glazing and hardware range allow MyDoor Installers to cater for a wide range of homeowner tastes. A Rehau frame that is available in a range of colours and with chamfered or ovalo edges mean that each MyDoor can be made completely bespoke. Stephen Nadin, MD at Rocal, commented on this latest venture: “The acquisition of East Midland Panels has allowed us to diversify our range of products and deliver a GRP Composite Door design that our customers have been crying out for. 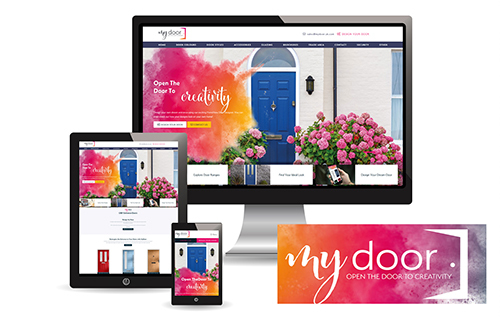 We’re passionate about building great products, so we spent a long time developing the MyDoor specification to ensure it offers something we consider superior to alternatives already available on the market. As a business we’ve enjoyed significant growth during 2018 and with the acquisition of EMP and the strong performance of Endurance Doors, we’re well positioned to continue our impressive rate of expansion next year.” If you want to see price lists or find out more about the MyDoor Product, get in touch through Sales@MyDoor.uk.com. A member of their friendly team will be on hand to help you with any enquiries that you may have.